Towel Size: 75*34cm (29.5"*13.4"). Package contains 3 towels. Colors: White, Blue, Dark Blue. Thick fabric, highly absorbent, softer texture. Suitable for Bath, Spa, Hotel, Sports, etc. Ships from Hong Kong. 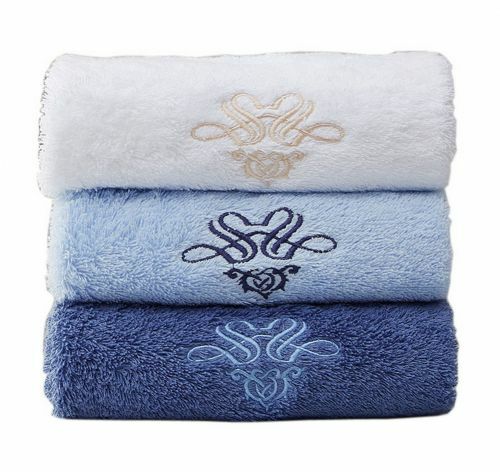 Hotel towel focuses on white and light color; Home textiles towel focuses on changeable colors. The towel has the two advantages, both white light-colored elegance and dark heavy, colorful and magnificent. Providing customers with more choices. Thick fabric, highly absorbent, softer texture. It will wipe every drop of water for you, decorating your bathroom. 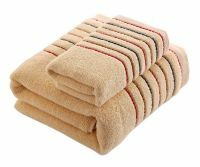 The towel is suitable for Bath, Spa, Hotel, Sports, etc. Towel Size: 75*34cm (29.5"*13.4").